Our team takes great pride in offering excellent customer service to each Orlando, FL property on which we perform a septic tank inspection. Septic Tank Inspection in Orlando – As Benjamin Franklin once said, “An ounce of prevention is worth a pound of cure.” This principle is especially true when it comes to your septic system! Regular preventative maintenance is the best way to keep your septic system running in addition to preventing time-consuming and expensive repairs. When our technicians here at Clark Septic perform a septic tank inspection, we do more than take a look around. Our extensive testing includes looking at the inlet and outlet baffles, filters, testing the pump and performing a waterload test. We also look into the effectiveness of the drainfield. Based in Orlando, we have been inspecting and servicing central Florida and Orlando septic systems for more than 10 years. Contact us today for more information about your septic tank inspection. We offer a variety of septic services to suit your family or business’needs! 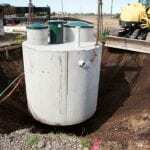 Our team will come to your property to check out the tank and other components of the septic system. If we notice any potential concerns, we will give you a detailed description of the problem along with a solution. We work hard to provide you with peace of mind when dealing with your septic system. When there is a problem, it can cause significant concern, especially if you notice any signs of backup. Our team takes great pride in offering excellent customer service to each property on which we perform a septic tank inspection. We have a long history of working with clients in the Orlando, Florida area, so you can feel confident when you bring in our technicians to work on your property. 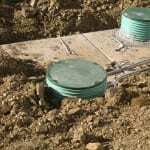 At Clark Septic, we offer high-quality septic tank inspection services in Orlando, Altamonte Springs, Deltona, Ocoee, Pine Hills, Winter Park, and Winter Springs, Florida.